We’ve unlocked so many stretch goals and still 18 days remain! Thank you! In just one day from the goal, we were be able to confirm 5 stretch goals and 1 backer goal unlocked, so the campaign was added with three adventures and a scary monster by Robert J. Schwalb! We’ve also unlocked the three adventures, and this is only the beginning. The three adventures are now collected in a booklet (for print only). So, pledges with printed material start to shine as the better choice. The booklet is Secrets of the Grave. Also, we unlocked the Villain Codex but it was only the beginning. As before, the 3 villains would have been collected in a booklet, Villain Codex, just like the adventures. So, pledges with printed material were better every day. A new illustration was unlocked, the Villain Codex was a reality and, finally, the first Bruce Cordell’s contribute was reached! Let’s talk now about the new book, the third in this line: Grim Lore. This new supplement will take you back to classical undead of Shadow of the Demon Lord, granting them new abilities, powers and variants. No matter if you like shadows or zombies, now each encounter with the same monster can be different every time! The theme variations will be easy, and you will have creatures with new abilities and powers and more. We’re pretty sure that players will be surprised when the GMs unleash their undead hordes. 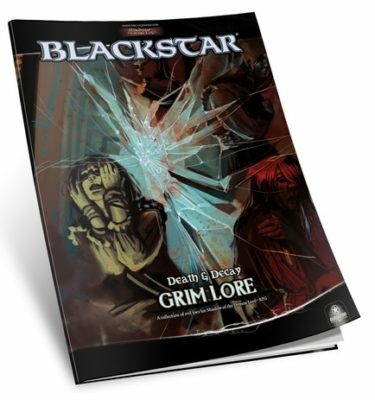 Like the two previous books, all Grim Lore pdfs will be collected in a printed booklet with bonus art, unlocking this as Special Reward starting at level Grave Lord. The Villain Codex has 3 new villains now and the Grim Lore is coming to life with the first 3 classic monsters revisisted unlocked in print and pdf. 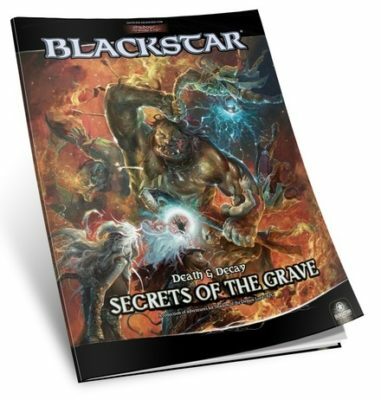 This new supplement describes new abilities, powers and variants for the classical undead of Shadow of the Demon Lord and gives your players a new encounter every time! The theme variations will be easy, and you will have creatures with new abilities and powers and more. We’re pretty sure that players will be surprised when the GMs unleash their undead hordes. All Grim Lore pdfs can be collected in a printed booklet with bonus art, unlocking this as Special Reward starting at level Grave Lord. 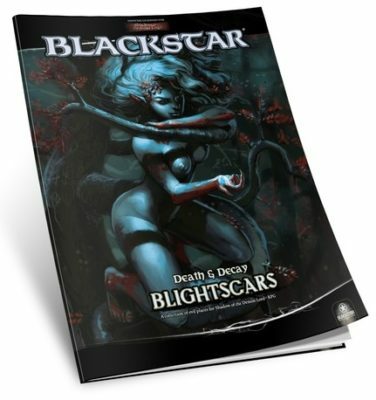 Also, the new booklet is reveiled: Blightscars! We’re so happy to confirm you’ve ‘unlocked’ Sean K Reynolds, welcome Sean! And we hit the new backer level required, so 3 new illustrations are now included in the Creature Codex. Bring the End of the World in different ways with these new Nefarious Creatures! Heralds of the Apocalypse are personified aspects of Demon Lord, harbingers of the Demon Lord’s world annihilation! These creatures are the last enemies of every party of heroes! You can live to save Urth or die watching its ruins! 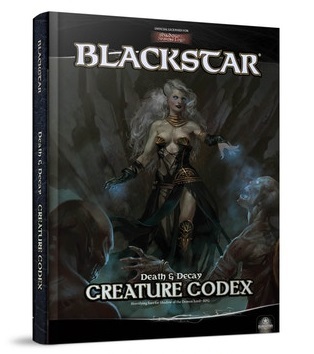 Herald of the Apocalypse will be added in a new special section of the Creature Codex, upgrading the pages of the book. Are you ready for the upcoming Beyond the Secrets? What is it? Stay with us and you will discover! As announced, another great designer will return on Death & Decay! Dave Harrison will be summoned again to write another special scary monster for our book! Test your players in these final adventures! One multi-session great adventure will disclose for you to face the upcoming end of all things. The apocalypse will come in thousand ways and the Void will devour everything. No one will be safe on Urth. Secrets of the Apocalypse will be added in a new special section of Secrets of the Grave, upgrading the pages of the book. A great number of people have been duped into serving the Demon Lord, though such service invariably leads to destruction. There are a lot of cults on Rûl. In this upgrade you will find one ready-to-use cultist villain! Whispers of the Apocalypse will be added in a new special section of Villain Codex upgrading the pages of the book. A unique classic monster revealed. In this upgrade you will find one ready-to-use classic monster lord, one that was inbued by more powers thanks to the Shadow approach! Claws of the Apocalypse will be added in a new special section of Grim Lore upgrading the pages of the book. A new week begins, and we are really happy to have unlocked other three Stretch Goals during the weekend! A new monster by Dave Harrison, a multi-session final days adventures and a cultist villain! Further, the supplements have upgraded. 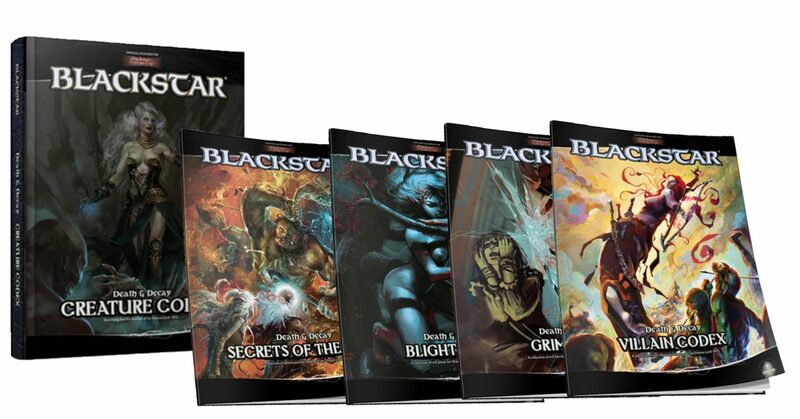 Now they have more pages of content, Secrets of the Grave is now a 54-page book and Villain Codex is a 40-page book. Also, the Creature Codex is upgraded to 136-page (from 128). You have done a great work! It is time of new revelations! Masked brotherood, Noxa Dissectionatores, Dolentes Sigilli, Soul collectors, and other infamous cults are hidden in the shadows. A great number of people have been duped into serving the Demon Lord, though such service invariably leads to destruction. There are a lot of cults on Rûl, and where some can be discovered and disrupted, others arise from their ashes. In this new supplement we will reveal new ignominious cults you can use in your game! Further, one of this cults will be written by Robert J. Schwalb! You must have it! All Wicked Cults pdfs will be collected in a printed booklet with bonus art, unlocking this as Special Reward starting at level Grave Lord. The books in this campaign. Death & Decay, is the CREATURE CODEX that will be born with this campaign. 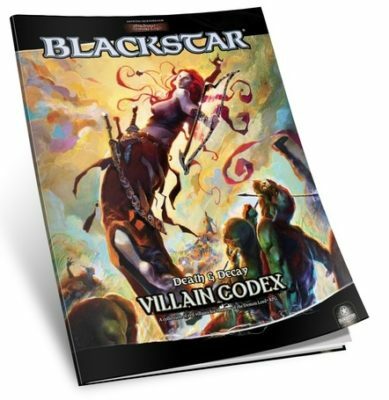 It is part of the BlackStar, a whole new line based on Shadow of the Demon Lord RPG, originally designed and created by Robert Schwalb. The line is officially licensed. The Creature Codex in the beginning was a 128-page book, now it is already a 136-page book, with ‘presences’ such as Robert Schwalb, Dave Harrison, Bruce Cordell, Sean Reynolds! • Presences: Infested dolls, whispers in the night, echoes of battles, doomed crypts and ghost ships! All of these entities can be found all around Urth. • Spirits: Spirits or incorporeal undead are a simple form of monsters that cannot follow the cycle of life and death on Urth. They nurture the evil in others and feed on the anguish they create in their victims, the sorrow they cause, the evil they plant, all to feed the Demon Lord and unchain him. • Corpses: Animated corpses, zombies, bone constructs, risen and others corporeal beings are the flesh of the hate that the demon lord feel toward the worlds of the livings. • Nightmares: Not sure if they are undead or dead at all, nightmares are the immortal visions of thousand mad minds and foul dreamers. A nightmare created lives in a limbo of nonexistence. However, their corruption and insanity can open the gates, and they will haunt dreams during the night; pervade the mind of anyone corrupted or mad so to overwhelm him by supernatural horrors. Adventures are the way to involve people in playing Shadow of the Demon Lord. They are fast, easy and lethal. Our adventures will use the same format as the original ones, having our monsters ready to challenge characters. The adventures will be around 6 pages long, complete with new design, graphics, maps and illustrations. Monsters without a master can be clueless minions. So, we will give them a master! Here it is, ready to be hit, a detailed Emissary of the Shadow, a corrupted creature who brings death and destruction in the name of the Demon Lord. All background details, goals and motivation will be revealed together with arcs that help you to create an entire mini-campaign around one of the enemies presented. Further, you will find details on their lairs or base of operations, together with their most trusted and loyal minions and some adventure seeds. This new supplement will take you back to classical undead of Shadow of the Demon Lord, granting them new abilities, powers and variants. No matter if you like shadows or zombies, now each encounter with the same monster can be different every time! The theme variations will be easy, and you will have creatures with new abilities and powers and more. We’re pretty sure that players will be surprised when the GMs unleash their undead hordes. Blightscars is the new supplement about dark and corrupted places, swollen blisters of evil and corruption scattered around Urth. From dark woods spreading afflictions to forgotten evil temples, from abandoned prisons to shipwrecking maelstrom, all blightscars grow darker and larger as their evil unfolds, giving the GMs the tools to involve their players even without preparing adventures or campaign beforehand. The corruption spreads on the land, just like it does with the creatures who live here.